The apartments are part of a 13th Century house which was renovated in 2016. 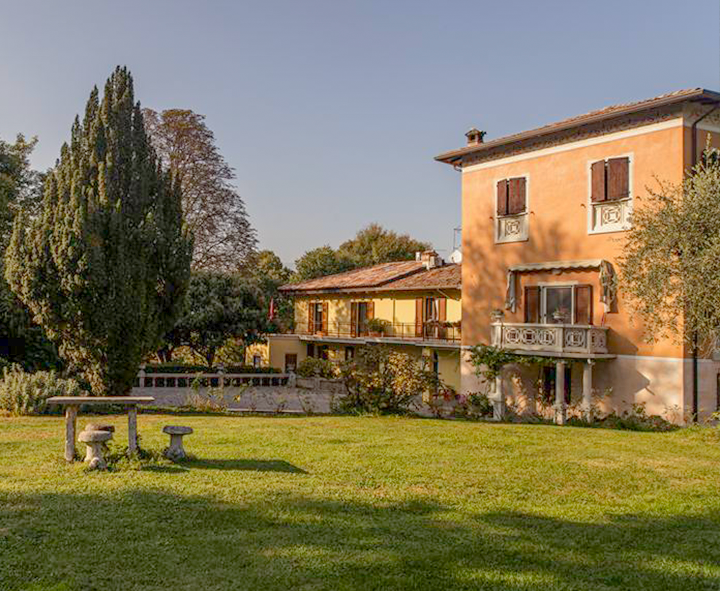 The building is located in a very quiet hilly area 3 km (5-minute drive) far from the lake and the town center of Salò and it is sorrounded by the lush vegetation typical of the “Alto Garda Bresciano” Park and the Valtenesi. The location of Cascina La Scala is strategic in order to visit many of the most famous town on the lake as such as Gardone Riviera, Toscolano Maderno and the Cliffs of Manerba which is one of the most beautiful scenic spots to the lake, and then Desenzano, Sirmione. The house is one hour far from many of the most amusement parks of northen Italy as such as Gardaland, Canova acqua Park and natura viva. Do you wanto to book an apartment through booking.com? This apartment is located at the first flor, the rooms are spacious and bright. It is composed of a living area with fully equipped kitchenete, one double bedroom with wardrobe and one bathroom and an utility room with washing machine. There is a second double bedroom on mezzanine. From the living area you access the terrace with table and umbrela. This apartment is located on ground floor and on first floor, the rooms are spacious and bright, it is composed of a living area with fully equipped kitchenette with an ancient stone fountain that serve sas a sink, one bedroom with one french bed and one single bed, one bathroom and closet; on first floor there is one double bedrooms with one bathroom. From the living area you can access the lush garden. Apartment “Il Pozzo” is located on the ground floor, the rooms are spacious and bright. It is composed of a living area with fully equipped kitchenette, one double bedroom, one bedroom with one double french bed and one single bed, one bathroom and closet. From living area you can access in the courtyard. View photos of the garden and fields of the property!